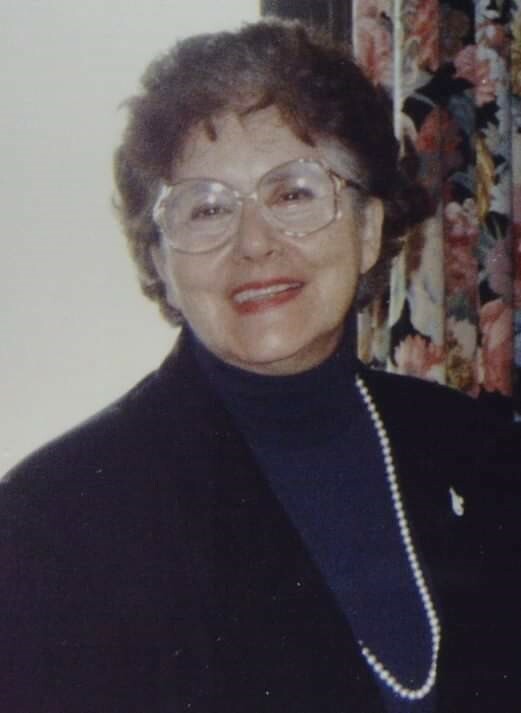 Family & friends are invited to attend Visiting Hours on Friday, November 2nd, from 4:00 p.m. to 8:00 p.m., in the Vertuccio & Smith, Home for Funerals, 773 Broadway (Route 107) REVERE, for Eleanor M. (Castaldo) Meier, following a brief illness, on Saturday, October 13th. Her funeral will be conducted from the funeral home on Saturday, November 3rd, at 10:00 a.m., followed by a Funeral Mass in the Immaculate Conception Church (Corner of Beach St. & Winthrop Ave.) REVERE at 11:00 a.m.
Born in Revere, she attended Revere Schools & was an alumna of Revere High School, Class of 1941. She is the recipient of the “Master’s Teacher’s Certificate” from the Archdiocese of Boston. She was considered a Korean Air Force Veteran, for her service within the Air Force Civilian Contractor Program. She was a broadcaster for the Armed Services Network, during the 1960s. Mrs. Meier was an admired teacher for over 35 (thirty-five years) and spent about 27 years in the employ of the Archdiocese of Boston at the Immaculate Conception Parish Community School. At Immaculate Conception, she is still remembered with loving recollection, for not only her ability as a teacher, but for her patience in working with challenged children. However, Mrs. Meier did have another, earlier, vocation within the musical world, as a soloist and song stylist. At one time, she was the chief scheduling officer, in charge of organizing events at Boston Symphony, Boston Garden, Boston Opera House, etc. She worked and performed with celebrities, such as, Perry Como, The Fontaine Sisters, Ronald Reagan, Jerry Lester, Sid Caesar & local talent: Donald Addrisi, J.J. Solari, Jeanne Hynes, Nella Velona, Angelo Ricardi, Betsy Stevens, Cindy Lord, Mickey Shaughnessy & Revere’s own, Eleanor Castaldo (Meier) & also one of Revere’s pride, Lindy Doherty. She directed and scheduled performances for the comfort & benefit of the Veterans of the Korean Conflict, in many local venues. While involved with the Veterans, she found her way to Germany, where she met & married her late husband, Karlheinz Meier, who died in February of 1978. She was a member of Boston’s Chatterbox Club, whose principal charity benefactor, was the Home for Italian Children (Italian Home for Children). The Italian Home for Children is still very much operating and in Jamaica Plain with over 90 years of service to the community. Eleanor Meier as Eleanor Castaldo opened performances by Jerry Lester and Sid Caesar at the Boston Garden in 1950 and 1951 to benefit the Italian Home for Children and by Perry Como at the Boston Opera House in 1952. Many thousands of people attended these performances. Prior to 1960, Mrs. Meier also sang with the Handel and Haydn Society under Thompson Stone, conductor and under Arthur Fiedler, conductor of the Boston Pops. After marrying, she broadcast a show for a period on the Armed Forces Network on a variety of topics. She is the cherished mother to E. Elizabeth Meier of Brooklyn, NY & Revere & W. Thomas Meier of Melrose & Revere. She was the adoring grandmother to Max W. Meier & Rosa S. Meier, both of Melrose. She was the dear sister to the late Dr. Geraldine Morrow, D.D.S. & Mary T. Filosi. She is the special aunt to Kathleen Nelson of Baltimore, MD, Lora Jean Nolan of Wasilla, Alaska, Joyce Martin of Anchorage, Alaska, Nancy Morrow of Walnut Creek, CA, Douglas Morrow of Lake Forest IL & the late Pamela “Penny” Humphrey. She is also lovingly survived by Dinah Olanoff, and her faithful cousins, Geraldine LaRosa & Emma Eltaibany, both of Revere. Friday, November 2nd from 4:00 p.m. to 8:00 p.m.
Tom, i am so very sorry for your loss. i know it’s not an easy time and losing your mom is one of the hardest to deal with. thinking of you.